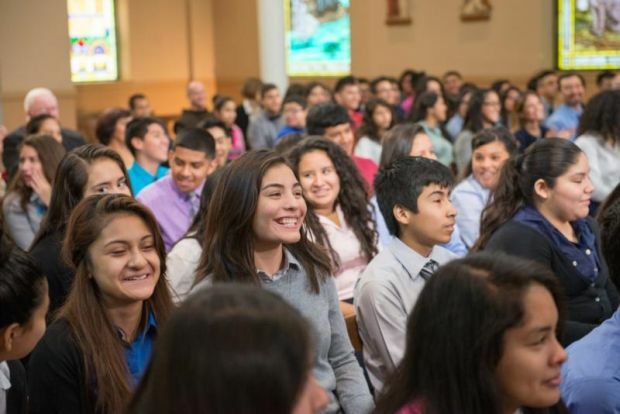 WASHINGTON (CNS) — Pope Francis gave words of affirmation and encouragement to predominantly Hispanic audiences gathered in Los Angeles, Chicago and a small town on the U.S.-Mexico border who had little clue they had been selected for a “virtual audience” with the pope. 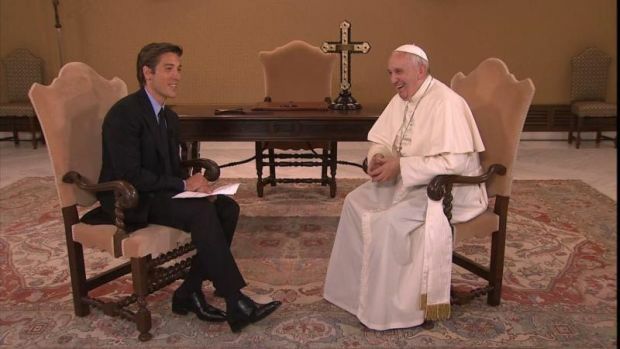 The audience was arranged by ABC News, which aired major excerpts of the audience Sept. 4 on “Pope Francis & the People,” a special installment of its “20/20” newsmagazine. Pope Francis consoled Valerie Herrera, a student at Cristo Rey High School in Chicago, who has been suffering since age 4 with vitiligo, which has turned many patches of her skin white. 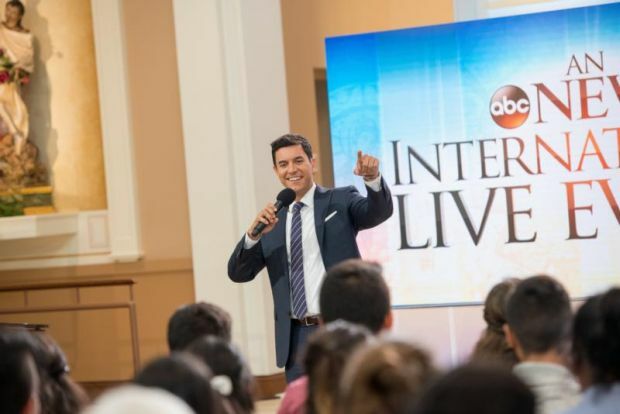 “Once I started growing up, I didn’t see it as such a big deal, but when I actually started growing up and I started going to school, well, you know I was picked on, I was bullied, because of how I look,” she told Pope Francis, who was seated in a makeshift studio at the Vatican with “ABC World News Tonight” anchor David Muir. Pope Francis also was introduced to Rosemary, a single mother, and daughters Celeste and Elissa. Their last names were not given. Rosemary and her daughters are now living in their first apartment since arriving in the United States after having lived in shelters in Los Angeles. “I know it’s not easy to be a single mother. I know that people can sometimes look askance at you. But I’ll tell you one thing: You’re a brave woman. You’re capable of bringing these two daughters into the world,” Pope Francis told her. “You could have killed them inside your womb and you respected life. You respected the life you were carrying inside you. And God will reward for you that. He does reward you for that. Don’t be ashamed. Hold your head high. ‘I didn’t kill my daughters. I brought them into the world.’ I congratulate you. I congratulate you, and God bless you. At Sacred Heart Church in McAllen, Texas, five miles from the Mexican border, Pope Francis surprised Sister Norma Pimentel, a Missionary of Jesus who is executive director of Catholic Charities of the Rio Grande Valley, by asking her to come forward, to hearty applause from those gathered in the church. Pope Francis also blessed a young boy. His mother, who crossed the border illegally from El Salvador, said he had cataracts. With the boy in his mother’s arms, the pope imparted a blessing.